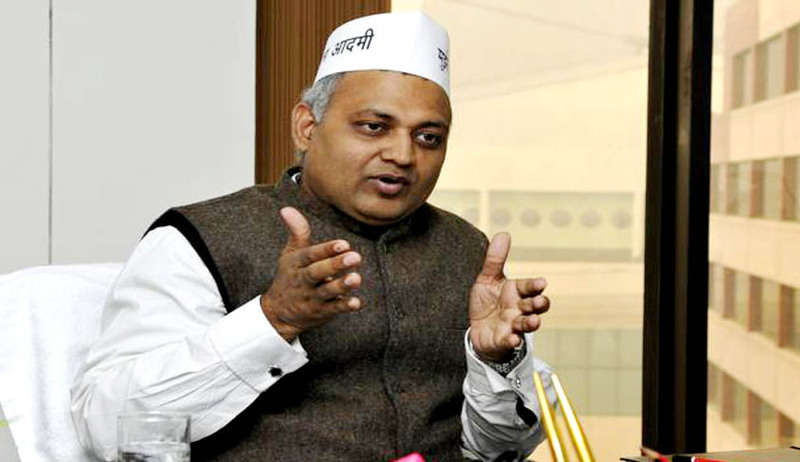 Setting aside the NHRC order passed on September 29 holding the erstwhile Delhi law minister of AAP guilty of midnight raid, the vacation bench of HC comprising Justice S. Muralidhar and Justice Manmohan Singh on 26 December directed to hear the matter afresh and pass a detailed order after considering the evidence presented by Mr. SomnathBharti in his defence. The Commission had previously initiated the proceedings suo moto without serving any notice or giving Bharti any opportunity of being heard. The Commission through its order had asked the Delhi government to pay Rs.25,000 each as compensation to the 12 African women who had suffered racial abuse, illegal detention, intimidation, assault and indignity during the raid. Advocate Deepak Khosla representing Bharti had sought the declaration of the NHRC’s order as nullity. He had also contended in his appeal that the single judge of NHRC had passed the judgment without providing him an opportunity to explain the facts of the situation and the grounds for the maintainability of his writ petition before NHRC. The bench has further directed Bharti to appear before the commission on the next date of hearing on January 13. In the backdrop of the development thus far, Mr Bharti had earlier been charge sheeted by the Delhi Police before a trial court in October in connection with the said molestation during the raid supervised by him on the night of January 15 this year on a house where those African women were residing. In his plea, Bharti had additionally asked for Rs 100 crore compensation which was rejected by the High Court.